Do you have a lazy-laying-in-the-sun cat or a loving dog that you want a portrait of adoring your home walls? I put my stylish pencil skills to work giving your cat, dog, or other animal a unique pet portrait. The pet portrait is drawn on acid free 14" x 17" bristol paper. After the drawing is finished, I brush on a matte varnish over the drawing which protects it. This process also enhances the drawing. I am doing this for a great price, $150. I like to keep my art affordable and accesible to many people. All you need to do is provide me with a desent head shot of your pet, preferably in natural day light and with a digital camera. This makes for good detail needed to reference for a great pet portrait. Send me 3- 5 pictures to choose from for the best portrait. 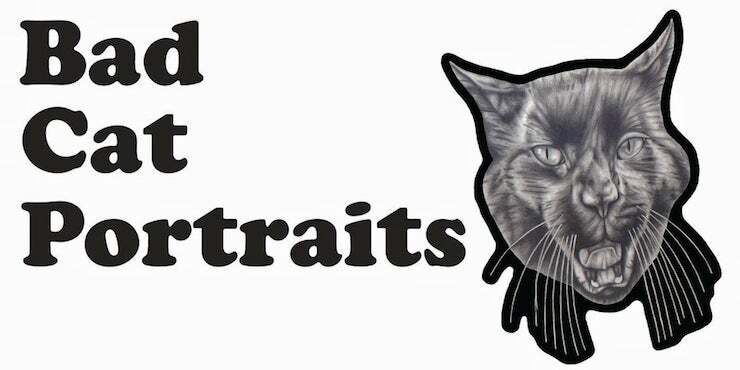 Please tell me about any characteristic traits that reflect yourself or your pet that you wish the portrait to show. I'm all about hats, music, and bicycles. Once I have this information, I draw your pet portrait. When it is complete I send it rolled in a shipping tube. Please e-mail me at ktwillsey@gmail.com for inquiry. For more samples of my pet portraits click here for my portfolio. 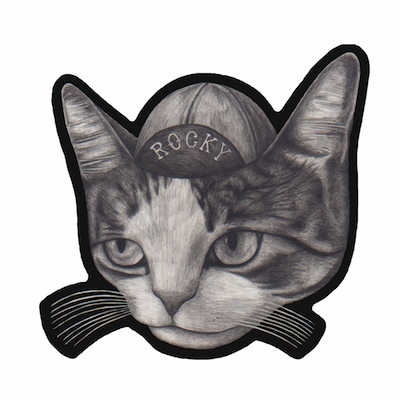 Follow me on all my art, cats, and pet portraits here!